In the past few days I’ve really been grasping at straws with making sense of all the hate in the world and what’s been going on in my life personally. Found this quote and it seemed to be the slap in the face I needed. Personally, I wouldn’t be telling the truth if something I was doing didn’t go quite as planned and I said, “why me”, or “just my luck” or try and blame someone else or come up with excuse after excuse as to why I was in the predicament I was in. For the longest time I never took responsibility. But more importantly, I didn’t have the mindset to say, ok, this is happening to me for a reason, so what can I learn from it. Trust me, it’s been a long process to get to this mindset, and at times, I still fall back into that negative thinking. But what I’ve learned is that when I pause, and consciously switch my mindset to the positive, the “problem” didn’t seem as bad as I made up in my head. Now, while the problems we face as a society are in fact very problematic and very real and literally life threatening, I’d like to think we can still learn and create an opportunity. 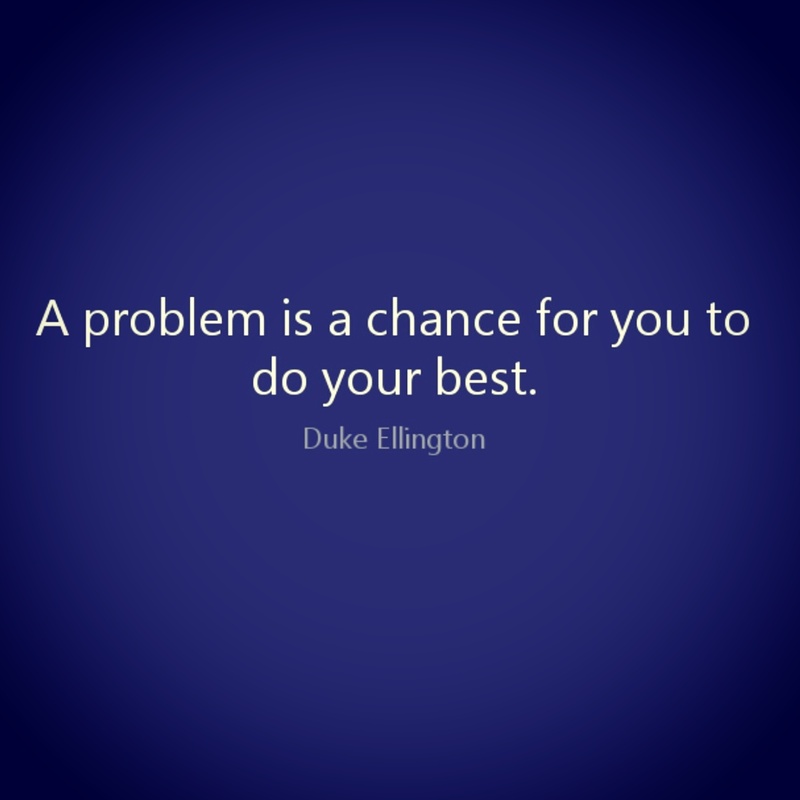 In my mind, “problems” will persist until the opportunity is seen. But, since I don’t rule the world, I need to start with me and pass this mindset on your my kids…and hope this is one thing they actually listen to and retain throughout their life. Sometimes we all just need a swift kick in the arse to get us back on track. This quote did it for me. Hopefully this blog has done it for you.